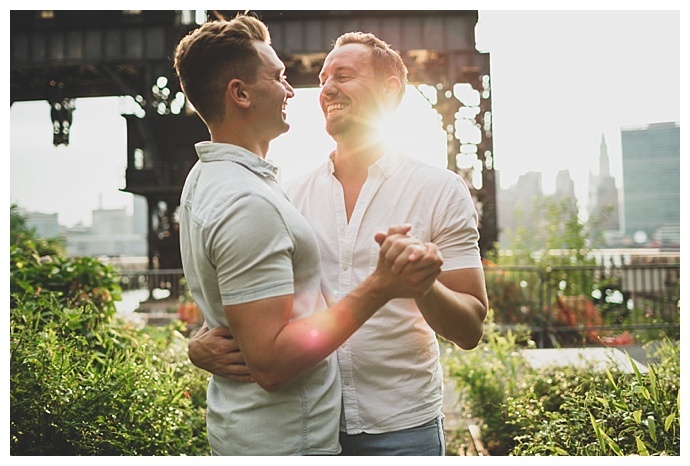 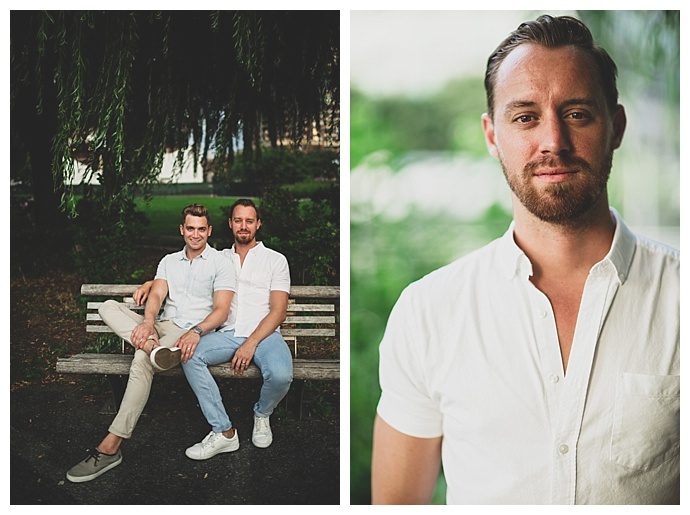 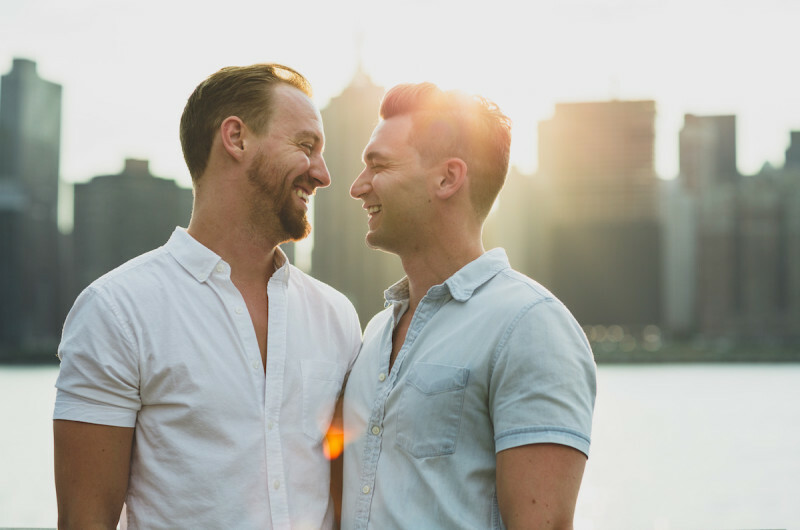 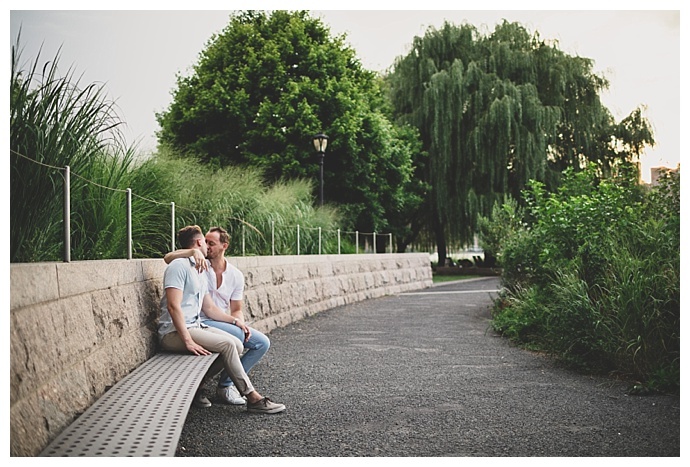 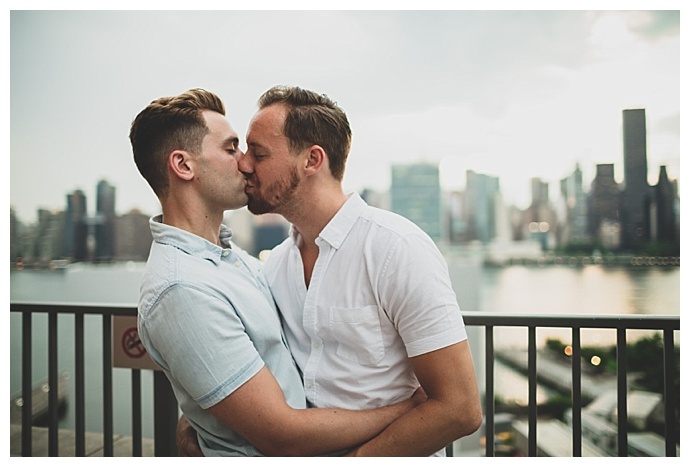 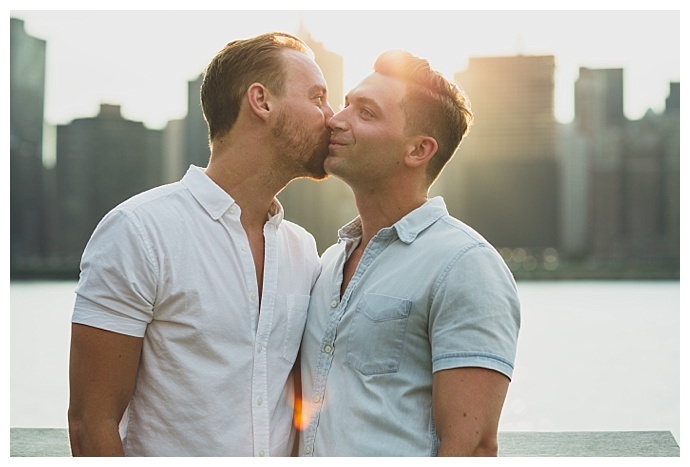 Light streamed through Manhattan’s midtown skyline across the river from Long Island City, where Cassie Castellaw Photography captured Dustin and Steven’s candid engagement photos. 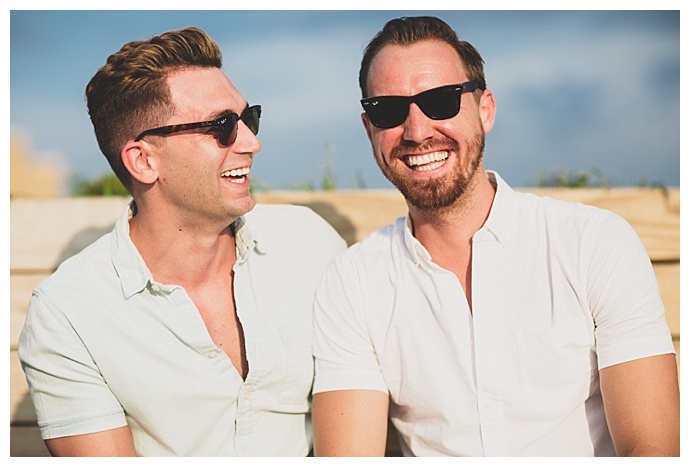 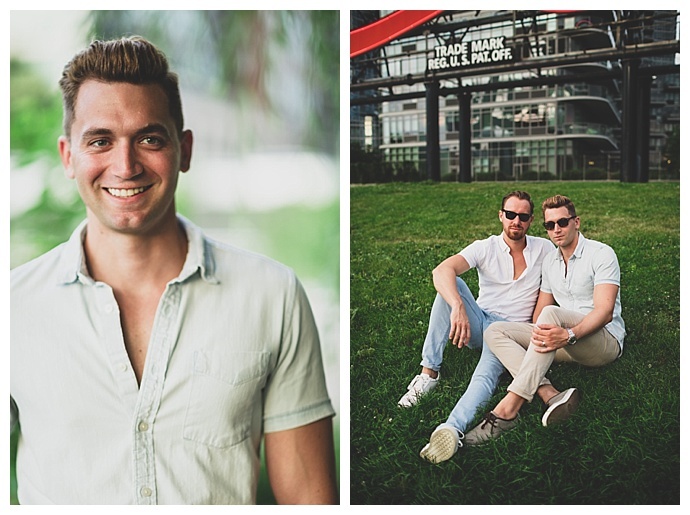 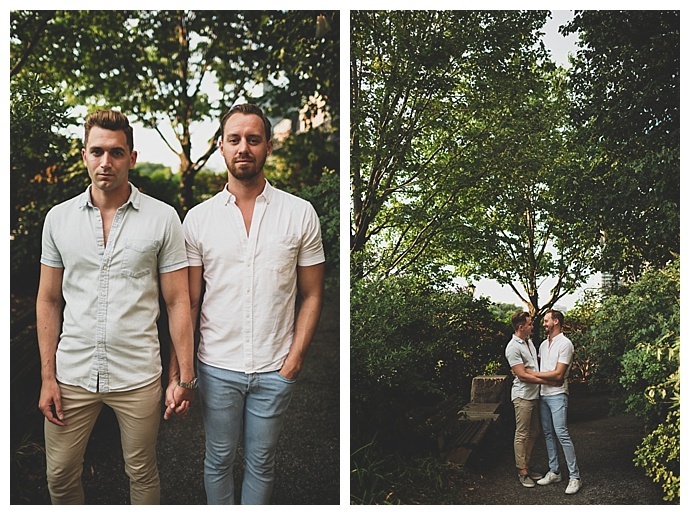 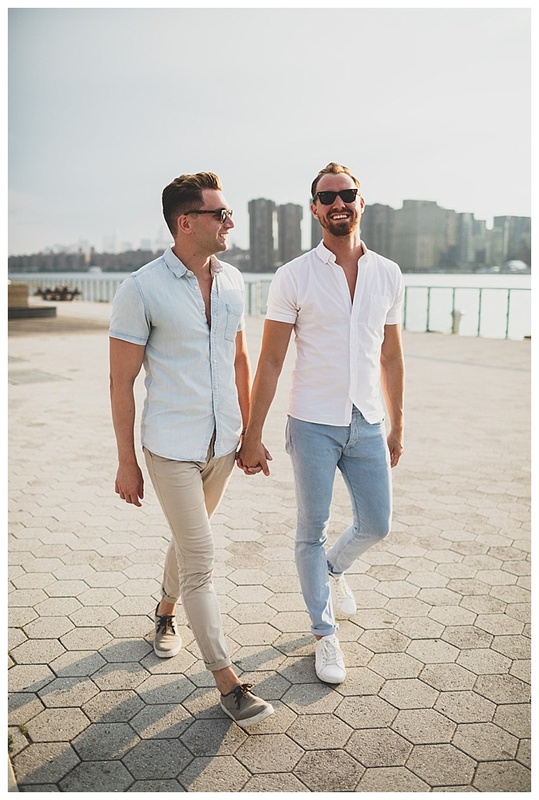 The grooms-to-be were glowing as they walked hand-in-hand along the waterfront where they’ve spent many memorable moments together over the past few years. 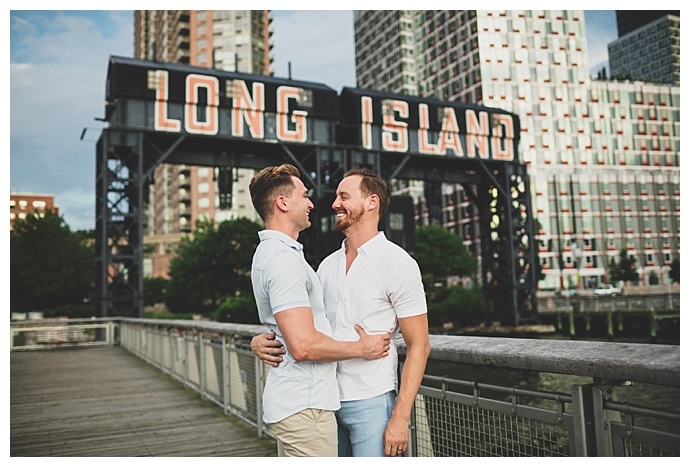 “We chose Long Island City because it was in front of our first home that we lived in together,” Steven says. 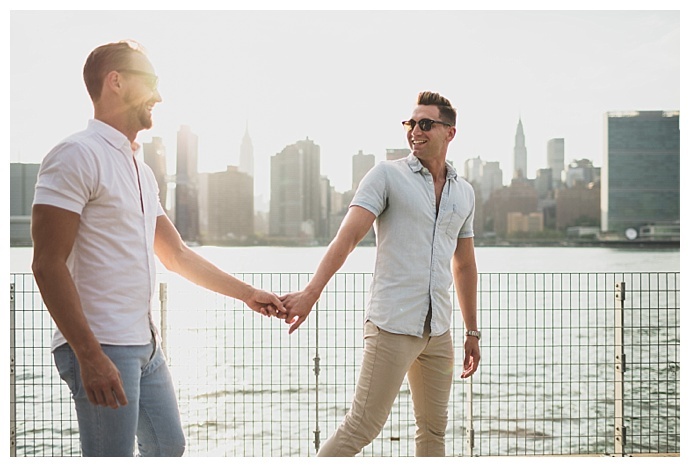 “It had an amazing Manhattan view, and it will always be our special place.” We love everything about this engagement session, from their contagious smiles to the way they hold onto each other as if they couldn’t possibly ever let go. 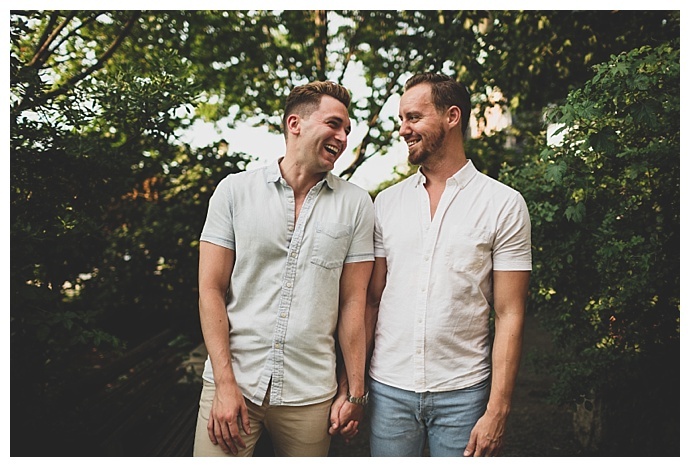 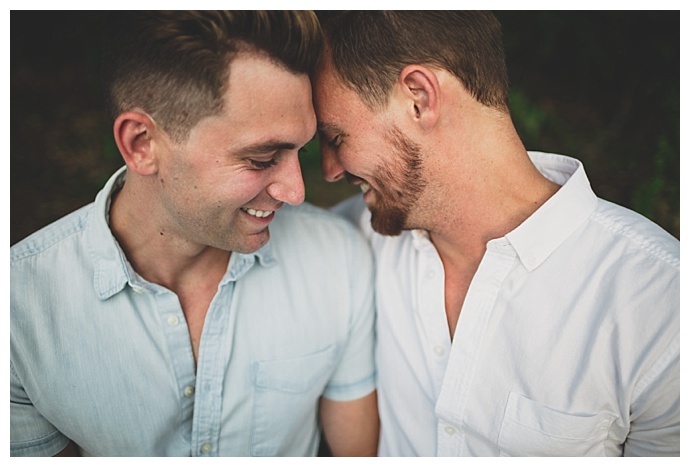 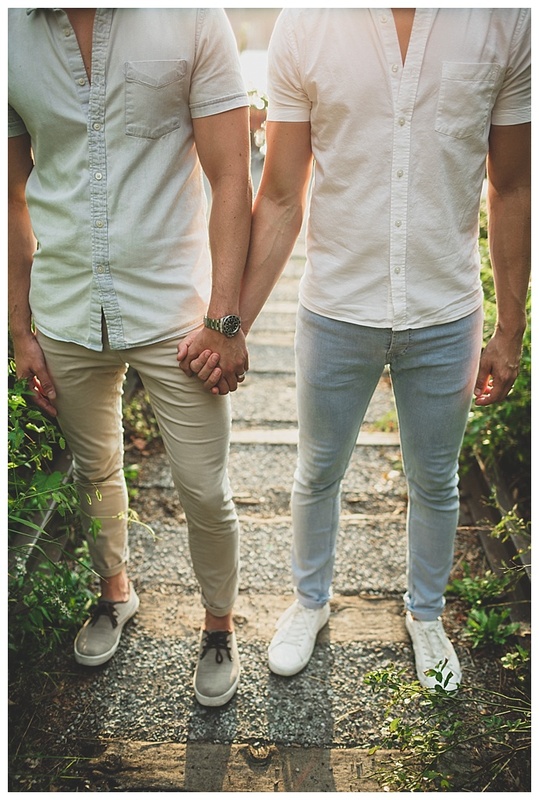 Dustin and Steven have matching white gold engagement bands with two engraved lines that encircle the rings.